I've been making use of the knowledge from this board and figured it was time to introduce myself. 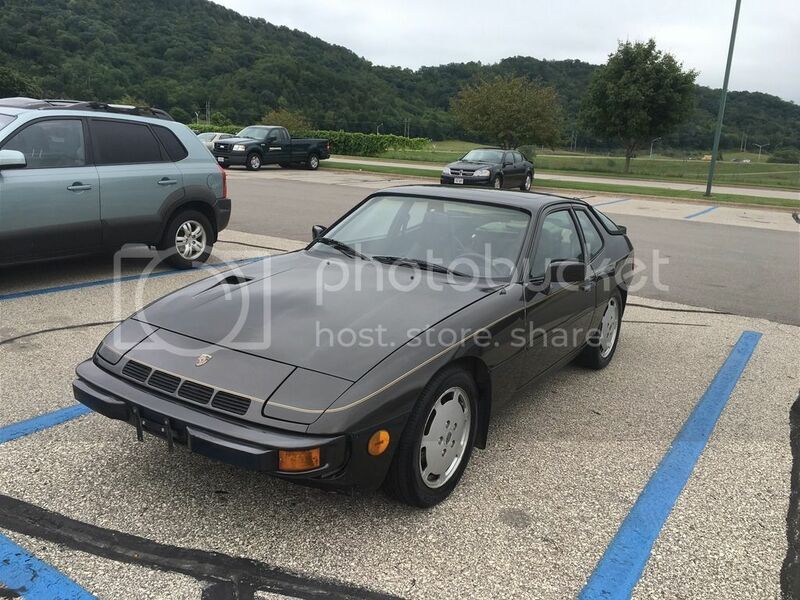 I've been a Porsche fan for quite a while but this is my first foray into the transaxle cars. 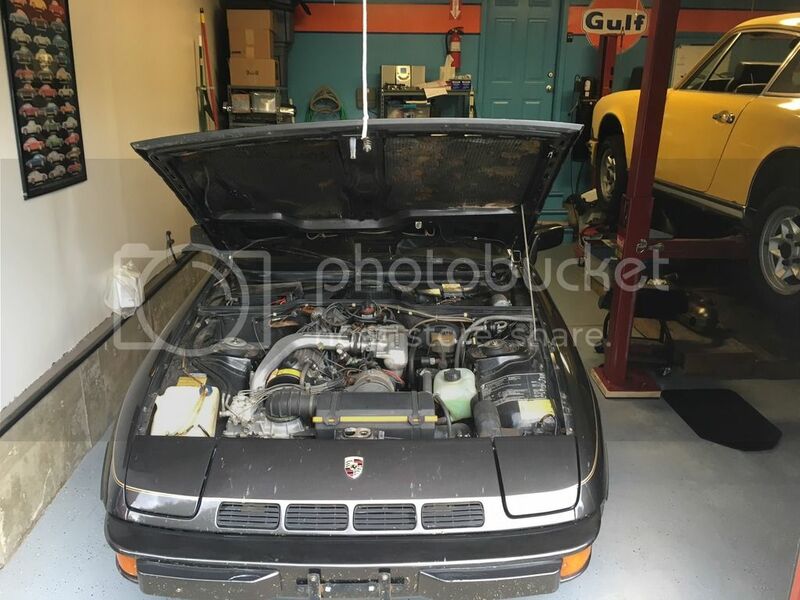 I purchased a 1980 924 Turbo from another board member (brealytrent) in late August. I flew out to Wisconsin to inspect, purchase, and drive the car home. It was a bit rougher then I expected but was complete and mostly functional so I took the plunge. I brought a suit case full of tools and parts with me but never had to open it up. Besides the one surprise that the fuel gauge is incorrect (and Odo doesn't work) the drive back to Colorado was uneventful. I've been slowly addressing a few issues over the past couple months and driving the car a few times a week. There seems to be a continual supply of electric faults to address but so far they've all been fairly simple. I'm planning on slowly reconditioning the car over the next few years into a reliable daily drive-able canyon car. This winter I'll continue working my way thru all the rubber components and then rebuilt the transmission in the spring (1st-3rd syncros are on their way out). I'm looking forward to participating on the board and am already enjoying the car. Any other Front Range owners out there? There is some great driving in your area. In college I used to flog my RX7 up Boulder Canyon and then across to Estes Park and back. Epic drive...I had people waiting in line for a turn. 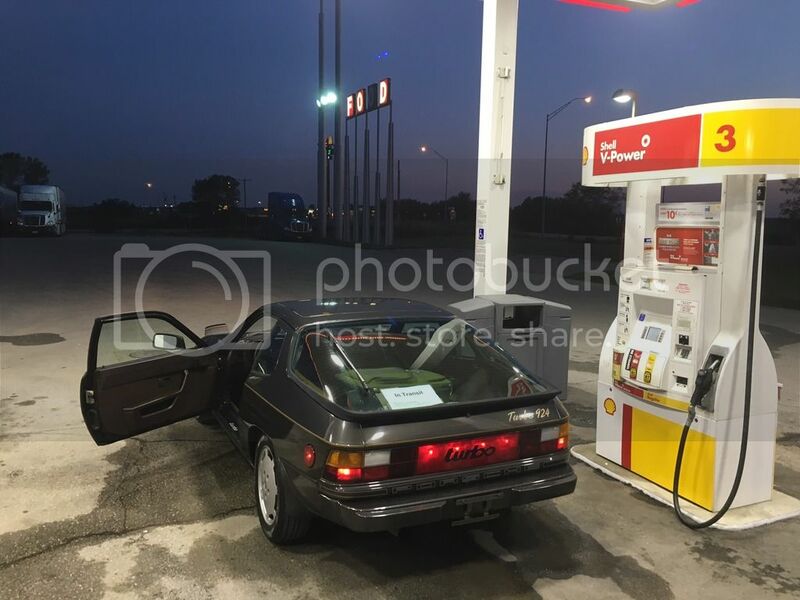 Wow that illuminated turbo panel sure is illuminated with lumens. looks awesome. that pinstripe is killer! also, is it ok for me to be jealous that i seem to be the only chucklehead whose car doesn't have the breather update? cuz... i am. Thanks guys. The illuminated Turbo panels looks like it has been on the car for quite a while. While maybe a little over the top, I kind of like it. I will improve the questionable wiring and vertically center the lights but that's way down the to do list. The car was originally Mexico Beige and while the re-paint looks pretty good in photos and from 10 ft, the adhesion is pretty bad in some spots. I'm definitely not excited about the work involved in painting the car but it needs to happen. I'm mighty tempted to go to Signal Green, though the car does look really good in it's current shade.